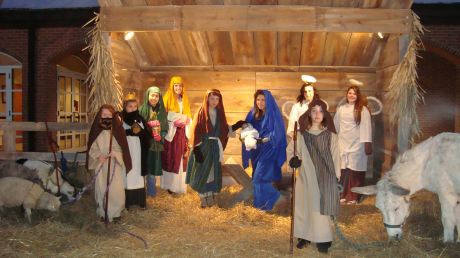 A Zoo To You provides Live Nativity Scenes for your Holiday Event or Celebration in the Chicagoland area and Suburbs. Our Nativity Scenes include 4 goats, 4 sheep, donkey, and a little cow (Display only) for $650 for first 2 hours and $125 for each additional hour. Save 10% off any animal rental, petting zoo, pony rides or exotic animal show services. This is great for any holiday celebration and adds a unique factor for the representation of the birth of Jesus Christ! Call us today at 815-568-9052 or visit our website for more information! Join our Private Facebook Group Chicago Fun Coupons and start receiving exclusive discounts, coupons and deals in your newsfeed. This is a great place to find and share info related to saving money on fun things to do, party planning services, special events, travel and other activities.